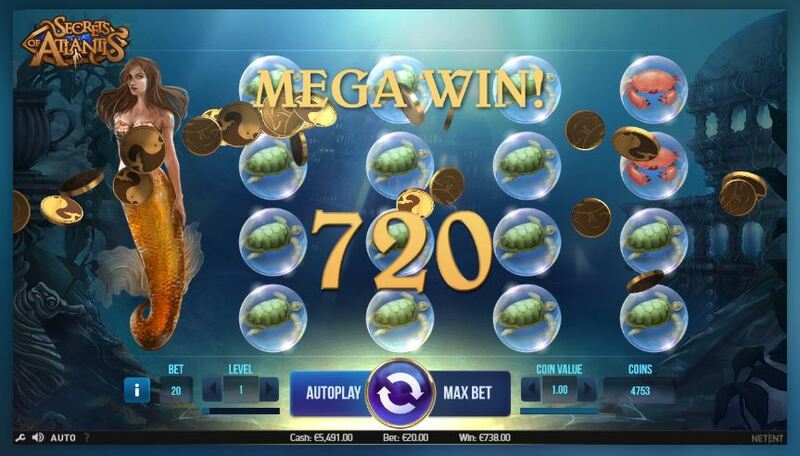 Secret of Atlantis – new Netent slot! NetEnt just released new slot machine – Secret of Atlantis. Let’s have a quick look at the game and features provided. In Secret of Atlantis slot, you have 5 reels, 4 rows and 40 lines. You can win both ways. Colossal symbol feature – during every spin game will randomly highlight reels 2, 3 and 4. If you will be lucky enough to hit 3 highlighted reels you will get a re-spin with the colossal symbol (check our picture below). The Colossal symbol is basically one big symbol which will replace all covered lines with one symbol. Note: reel needs to be fully highlighted to activate the feature. Nudge wild feature – shown as a mermaid in the game, even if you will hit only part of it, it will extend to cover the full reel (works really similar to expanding wilds). 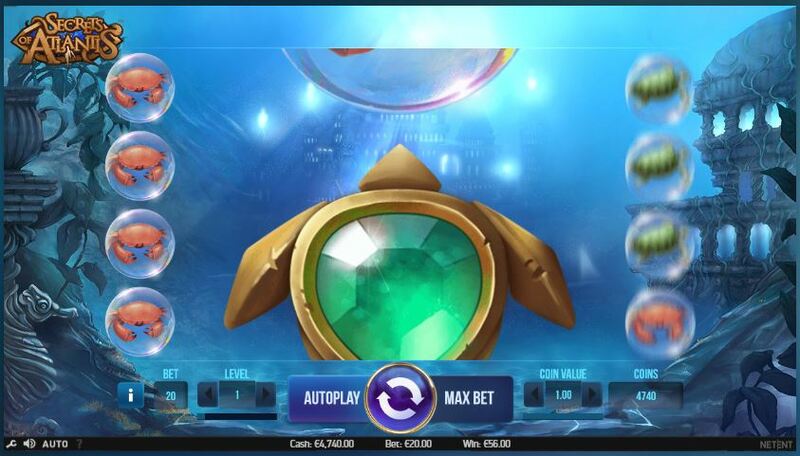 There is no free spins feature in Secret of Atlantis, but you can still win really nice winnings with extra features. We have already tried it, and we are really amazed by the winnings! Below you can also see paytable, the highest symbol in the game is the pearl. RTP (theoretical return to player) for this game is 97,1%. You can play this game in every online casino which offers NetEnt games. We recommend you our partner – LuckyDino. Click here to register and you will also get some extra free spins with no deposit required! ← Great free spins offer in Kaboo Casino!